Race against opponents eager to destroy you with guns, rockets and flame throwers. 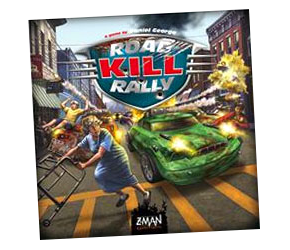 Road Kill Rally is a hilarious example of the genre; fans of the old David Carradine camp-classic movie Death Race 2000 will feel right at home here, racing against opponents all eager to destroy you with guns, rockets and flame throwers. Which is all a lot of fun, but the big points come from running over and blasting pedestrians.